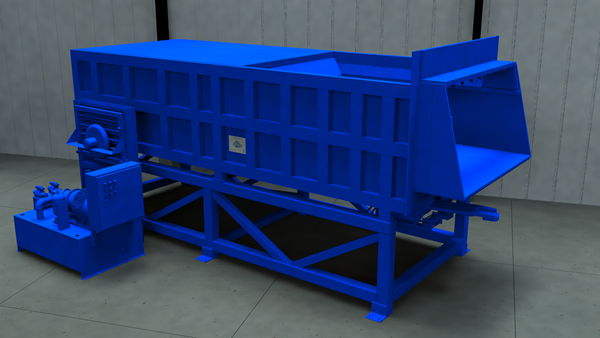 This mini transfer station compactor was designed to pack into semi-trailers for maximum loads and reduced transportation. The Sebright Model 9884T has a 50 HP motor and twin 6” cylinders for resulting maximum pressures of 101,772 lbs, and is engineered with extreme use in mind and will reduce downtime, lower maintenance, lower operating costs, saving you time and money. Common Applications: Municipal and commercial transfer stations, recycling facilities.